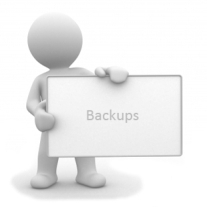 A surprising number of businesses have inadequate backups and find this out only too late. The main problem usually seen, apart from there being no backup at all, is that inappropriate backups are taken and are not stored offsite. A business may only first discover they have an inappropriate backup strategy when the time to recover data arises. Our service provides you with a choice of industry standard and open source backup solutions. Whether it is remote backups to our data centre or in-house backups taken off-site by a record management provider, you will receive a solution best suited to your business. Optionally supported by our unique COMplex Monitoring 24/7 service, your backups are guaranteed, leaving you with just that one less thing to worry about. Contact Us now or click here to read about our other IT services on offer.